Fru-Gal.org: Redbox: 10 Days of Deals! Are you a fan of Redbox? My family definitely is... especially when there are free codes available! 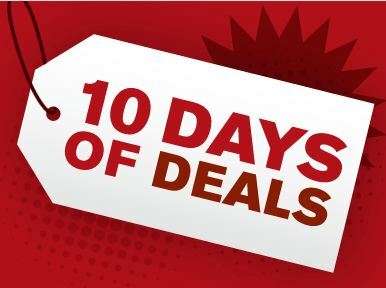 Well, Redbox just started a 10 Days of Deals offer where you can text DEALS to 727272 every day from May 16th - May 25th and Redbox will send you a discount code to use at the kiosk that day, worth between $.10 to $1.50 off! Plus, did you know that you can use promo codes BREAKROOM and DVDONME for a free movie rental? These are ongoing valid codes, but can only be used once per credit/debit card.